Ella Fitzgerald’s ‘Live at Mister Kelly’s’ is an album recorded on August 10, 1958 in Chicago and released in 2007 by Verve. Track listing : 1.Your Red Wagon (Gene de Paul, Richard M. Jones, Don Raye) – 02:59 . 2.Nice Work If You Can Get It (George Gershwin, Ira Gershwin) – 02:35 . 3.I’m Glad There Is You (Jimmy Dorsey, Paul Mertz) – 02:53 . 4.How Long Has This Been Going On? (George Gershwin, Ira Gershwin) – 02:44 . 5.Across the Alley from the Alamo (Joe Greene) – 02:14 . 6.Perdido (Juan Tizol, Ervin Drake, Hans Lengsfelder) – 05:45 . 7.The Lady Is a Tramp (Richard Rodgers, Lorenz Hart) – 03:01 . 8.Bewitched, Bothered and Bewildered (Richard Rodgers, Lorenz Hart) – 05:48 . 9.Summertime (George Gershwin, Dubose Heyward) – 05:00 . 10.In the Wee Small Hours of the Morning (Bob Hilliard, Dave Mann) – 03:55 . 11.St. Louis Blues (W.C. Handy) – 06:13 . 12.Witchcraft (Cy Coleman, Carolyn Leigh) – 02:57 . 13.Love Me or Leave Me (Walter Donaldson, Gus Kahn) – 03:48 . 14.Joe Williams’ Blues (Ella Fitzgerald) – 05:57 . 15.Porgy and Bess Medley: I Love You Porgy/Porgy, I’s You Woman Now (George Gershwin, Ira Gershwin, Dubose Heyward)/(George Gershwin, Ira Gershwin, Dubose Heyward) – 05:48 . 16.How High the Moon (Morgan Lewis, Nancy Hamilton) – 06:56 . 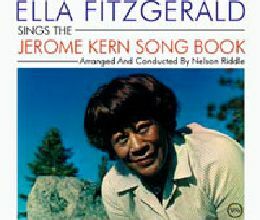 Musicians : Ella Fitzgerald – vocals . Lou Levy – piano . Max Bennett – double bass . Gus Johnson – drums . Production Produced by Norman Granz . Harry Weinger – Engineer . Seth Foster – Mastering . Packaging : Will Friedwald – Liner Notes . Hollis King – Art Direction . Kazumi Matsumoto – Graphic Design . Jan Persson – Cover Photo . Recorded August 10, 1958 at Mister Kelly’s, Chicago . Released in 2007 by Verve.